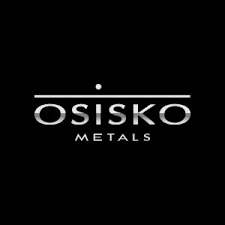 Osisko Metals Incorporated (TSX-V:OM) (FRANKFURT: 0B5) is pleased to announce that it has closed its previously announced “bought deal” private placement of 9,946,369 common shares of the Corporation that will qualify as “flow-through shares” (within the meaning of subsection 66 (15) of the Income Tax Act (Canada)) at a price of $0.75 per Flow-Through Share for aggregate gross proceeds of $7,459,776.75. The Offering was led by Canaccord Genuity Corp. on behalf of a syndicate of underwriters that included Macquarie Capital Markets Canada Ltd. In connection with the Offering, the Corporation paid the Underwriters a cash commission equal to 5.0% of the gross proceeds of the Offering, provided, however, that no cash commission was paid to the Underwriters on proceeds from any Flow-Through Shares purchased by certain persons on the “President’s List”. Each subscription by an “insider” is considered to be a “related party transaction” for purposes of Multilateral Instrument 61-101 – Protection of Minority Security Holders in Special Transactions and Policy 5.9 – Protection of Minority Security Holders in Special Transactions of the TSX Venture Exchange. Pursuant to MI 61-101, the Corporation has filed a material change report providing disclosure in relation to each “related party transaction” on SEDAR under Osisko Metals’ issuer profile at www.sedar.com. The Corporation did not file the material change report more than 21 days before the expected closing date of the Offering as the details of the Offering and the participation therein by each “related party” of the Corporation were not settled until shortly prior to the closing of the Offering, and the Corporation wished to close the Offering on an expedited basis for sound business reasons. The Corporation is relying on exemptions from the formal valuation and minority shareholder approval requirements available under MI 61-101. The Corporation is exempt from the formal valuation requirement in section 5.4 of MI 61-101 in reliance on sections 5.5(a) and (b) of MI 61-101 as the fair market value of the transaction, insofar as it involves interested parties, is not more than the 25% of the Corporation’s market capitalization, and no securities of the Corporation are listed or quoted for trading on prescribed stock exchanges or stock markets. Additionally, the Corporation is exempt from minority shareholder approval requirement in section 5.6 of MI 61-101 in reliance on section 5.7(b) as the fair market value of the transaction, insofar as it involves interested parties, is not more than the 25% of the Corporation’s market capitalization. The gross proceeds from the Offering will be used by the Corporation to incur eligible “Canadian exploration expenses” that will qualify as “flow‐through mining expenditures” as such terms are defined in the Income Tax Act (Canada) related to the Corporation’s projects in Canada. All Qualifying Expenditures will be renounced in favour of the subscribers of the Flow‐Through Shares effective December 31, 2018. All securities issued under the Offering are subject to a four month hold period which will expire March 7, 2019. The Offering is subject to final acceptance of the TSX Venture Exchange. The securities offered have not been registered under the U.S. Securities Act of 1933, as amended, and may not be offered or sold in the United States absent registration or an applicable exemption from the registration requirements. This press release shall not constitute an offer to sell or the solicitation of an offer to buy nor shall there be any sale of the securities in any State in which such offer, solicitation or sale would be unlawful. Osisko Metals is a Canadian exploration and development company creating value in the base metal space with a focus on zinc mineral assets. The Company controls Canada’s two premier zinc mining camps in Canada, namely the Pine Point Mining Camp located in the Northwest Territories (22,000 ha) and the Bathurst Mining Camp, located in northern New Brunswick (63,000 ha). The Company is currently drilling in both mining camps for a combined 100,000 metre program. The focus of these programs is to upgrade historical resources to comply with NI43-101 regulations and also on exploration around historical deposits. Brownfield exploration includes new innovative 3D compilation techniques, updated geological interpretation, and modern geophysics. In Québec, the Company owns 42,000 hectares that cover 12 grass-root zinc targets that will be selectively advanced through exploration. In parallel, Osisko Metals is monitoring several base metal-oriented peers for opportunities.